DETROIT—The ACLU of Michigan on Wednesday will urge a state appeals court to overturn the conviction of Benton Harbor civil-rights firebrand Rev. Edward Pinkney, arguing that Pinkney was unfairly jailed in retaliation for his activism and political views. The argument comes after the ACLU of Michigan filed a friend-of-the-court brief last year in support of efforts to have Pinkney freed following an election-fraud conviction. Mr. Fancher will present the ACLU’s position during oral argument in addition to Rev. Pinkney’s criminal defense attorney, Timothy Holloway. The argument is scheduled for 10 am at the State Office Building in Grand Rapids. Read the ACLU amicus brief on behalf of Rev. Edward Pinkney. 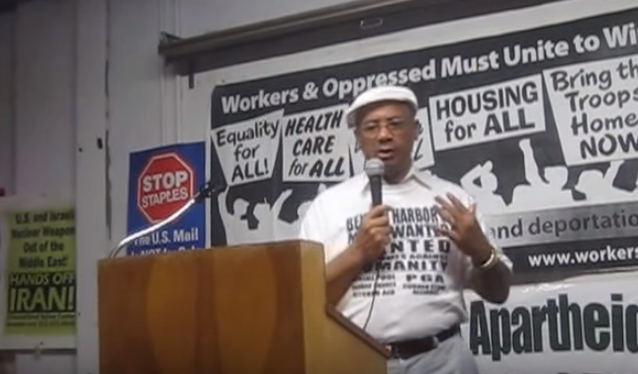 In 2014, Pinkney was tried and convicted by an all-white jury on charges that the African-American activist illegally changed dates on a petition to recall the then-mayor of Benton Harbor, whom Pinkney had criticized as a stooge for the city’s state-appointed emergency manager. Noting that the jury was allowed to hear irrelevant and inflammatory evidence of Pinkney’s political activities, the ACLU of Michigan argued that his conviction should be overturned because the evidence was unfairly prejudicial against Pinkney and violated his constitutional right to free speech. The ACLU also maintained that the law that Pinkney is accused of breaking was never defined clearly as a felony offense, which would violate Pinkney’s right to due process. Although enough signatures were collected on the recall petitions in 2014 to put the issue on the ballot, the election was cancelled based on the allegations of election fraud. Read more about the ACLU’s representation of Rev. Pinkney. Pinkney’s supporters have argued that the minister has been singled out for years because of a long history of challenging political and corporate power in Benton Harbor, including his work around such issues as voting rights and gentrification. Indeed, in 2009, the ACLU represented Pinkney after he was imprisoned for writing a newspaper column that criticized a local judge and characterized the criminal justice system as racist. The Michigan Court of Appeals reversed the conviction on the ground that he had a constitutional right to speak his mind about the judge and the justice system.